Barking Abbey secured a road win 72-40 over Oaklands College on Wednesday afternoon. Oaklands College continued to show their improvement with a close opening 5, however they gave up a 17-0 run that ran across the first quarter break and ended the game as a scoring contest. In a spell in which Oaklands failed to score it was Barking’s ability to get to the basket and finish in the paint that saw them take firm control of the game. 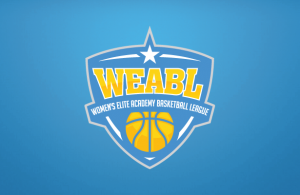 In the spell an 11-0 run by Loren Christie alone showed her ability to dominate in this years WEABL competition. Oaklands once more showed their character and determination to prove they can compete, running to the half they produced a 13-5 spell of their own to bring them back to a half time deficit of 20-34. In the second half Oaklands continued to fight and just when it looked like they could make it a 10 point game Christie once more went on a 11 point personal scoring flurry to give the visitors breathing room and seal the result. Loren Christie led all scorers with an impressive 34 points personal performance. Teresa Da Silva backed her up with 9 points for Barking. For Oaklands guard pair Fionnuala Wharton and Sami Brown led their teams by scoring 6 and 9 points respectively. Oaklands have a gap week and will be back to host Itchen College on Wednesday 30th January. Barking Abbey retune to action on the same day when they host JMA in what will be a barn storming game for the Southern conference standings.